On behalf of the Related Group of Florida, I am pleased to write this letter of reference for the design and implementation services provided by lead decorator and owner of J Design Group, Ms. Jennifer Corredor. I have had the privilege of working with Ms. Corridor for several years. Time after time she has proven to be the very efficient with her leadership, organization, and superb gift of interior design with our multi-million dollar projects: especially, for our most recently completed construction of Loft 1 and Loft 2 in South Florida. The use of light, space, and color for these projects is impeccable! Her latest interior design project with the Related Group consisted of the design, general specifications and furnishings for our public spaces for 23 floors. The areas requiring her expert guidance and touch included our lobby media room, administrative offices, the club room, exercise room, corridor and elevator landings. The entire project was completed meeting deadlines, within budget, filled with quality furnishings, and the ultimate professionalism and craftsmanship provided by her sub-contractors and enthusiastic staff. 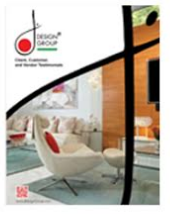 J Design Group will always be a good choice because they are a qualified team for Interior Design in South Florida. Our recommendation is to choose the best for your investment. You will always be fully satisfied and amazed with the completion of your entire project designed, executed and unveiled by the J Design Group. We are developers of luxury condominium project located in Coral Gables, Florida. We were seeking an interior designer who could assist us in the design of the commercial, common areas of the project, as well as the interior of the residential units. Further, we needed designer who could successfully work with our ultimate condominium buyers, in the design, upgrade and furnishing of their new condominium residence. We interviewed a number of interior design firms from the tri-county South Florida market area, and were always left with a feeling that the firms could not fulfill our needs. Then we were introduced to J Design Group, and our search was over. It is with a great deal of pleasure that I am now in a position to relate how thrilled we are with the wonderful, talented and professional work of Jennifer Corredor. Our building façade is designed in a Mediterranean Revival style, so reflective of the architecture of Coral Gables; Jennifer was able to bring the common areas of the project a contemporary, elegant and sophisticated look that complements the Building’s classical style. In the interior of the Units, she selected finishes and textures that are sleek and sophisticated: modern but timeless in their design. In general, all of the members of our development team, form the Architect to the Sales Associates all applauded Jennifer’s creative ideas and work.. As the Developers we are pleased that we made the right decision in retaining the J Design Group. It is without hesitation that I recommend the talented, dedicated and professional work of J Design Group and Jennifer Corredor. I would be very happy to respond to any questions or comments the reader of this letter may have.